5Paisa is a leading online discount stockbroking company based out of Thane, Maharashtra and was established in the year 2015. 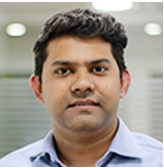 The discount broker was an arm of IIFL (India Infoline Limited) before becoming an isolated enterprise in 2017. Although it is relatively a new player in the industry, it is already into three financial domains including Online trading, Insurance, and Mutual funds. Within stock broking, it allows trading within NSE, BSE & MCX-SX exchanges through its membership with the respective exchanges. Also Read: 5Paisa to Open Up Commodity Trading Soon! With its roots from India Infoline, the discount broker has a huge advantage when it comes to industry know-how, dynamics, customer behaviour and so on. And that is why 5Paisa provides you with research tips and recommendations for technical and fundamental analysis as well. The discount broker claims to have a turnover of ₹1200 Crore every day on the stock market through its clients. Very recently, 5Paisa has been listed at BSE and NSE making it the only discount stock broker in India to be listed on the stock market. The broker looks to expand its client base by another 50,000 by the next 12 months, while it currently stands in the range of 70,000+ clients. Out of the current client base, 60% come from smaller cities i.e. tier 3 or tier 4 of India. Furthermore, IIFL, its earlier-parent company, will be investing ₹100 Crore into this discount stock broker. For the past 1 year or so, this discount broker has witnessed a quarter-on-quarter growth of 100% in turnover. All these facts seem promising for sure. The million dollar question, however, is whether 5Paisa will able to leverage these benefits? 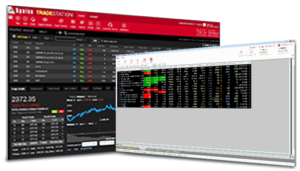 Thus, in a sense, it offers a wide range of trading and investment products for clients. And, as a discount stock broker, it is one of the rare USPs for sure. 5Paisa Trading & Robo Advisory is first of its own kind of a mobile app that provides Online trading as well as Robo advisory services within the same app. This mobile app is pretty exhaustive when it comes to the usability or the number of features. 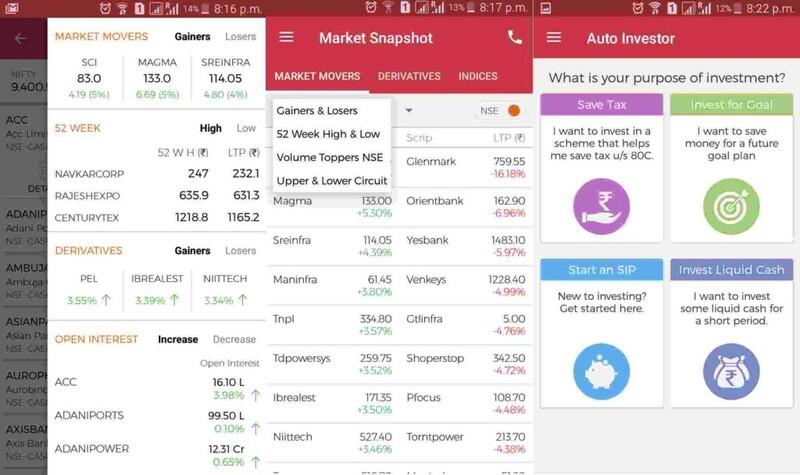 The management of this discount stock broker claims that 70% of the transactions done every day happen through this mobile app, giving an idea of the robustness of the mobile app. Auto Investor feature allows you to choose from different plans such as Save Tax, Investment for a specific goal, Starting a SIP or Invest liquid cash. Provides decent Performance or order execution speed. For more information, you can check the detailed review of 5Paisa Mobile App. 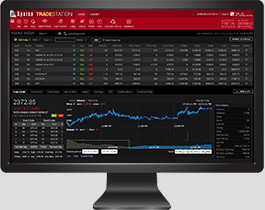 The browser trading platform from this discount stockbroker is a cloud-based application available on selected browsers i.e. Chrome, Internet Explorer and Mozilla Firefox only. The platform lets you invest in Mutual Funds as well apart from other financial instruments. The application is known for fast execution time and seamless user experience. 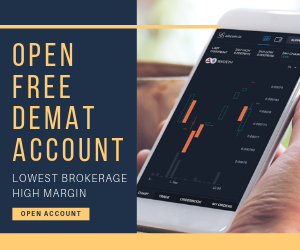 To access this application, the user just needs to go to the official website of the discount broker, click Login, enter username and password and get going with their trading. Multiple order types offering flexibility to the user. Intraday as well as historical data available for technical and fundamental analysis respectively. Provision to invest in Mutual funds and Insurance segments. Provides research tips and calls to make quick judgments. To check out the complete review of 5Paisa Trade Station, you can click on this link. Users are allowed to create a demo account for themselves to get an idea around the performance and user experience of the application. Second Level Authentication brings in a high amount of security so that users can transact and trade without any security breach concerns. The application provides a consolidated view of user’s portfolio along with access to all trade reports, charges & bills. To check out the complete review of 5Paisa Trade Terminal, you can click on this link. 5Paisa Auto Investor is a web-based robo-advisory mechanism offered by the discount broker to its clients. Users can provide their requirements for return expectations, risk appetite, investment spread etc and based on these preferences, personalized recommendations on investment classes along with capital segregation and return period are provided back to the user. With this system in place, the angle of human error goes out of the window and you can get recommendations based on data points and in fact, get your portfolio monitored for future movements. Apart from that, there are various videos and blogs that are written and updated on a regular basis. 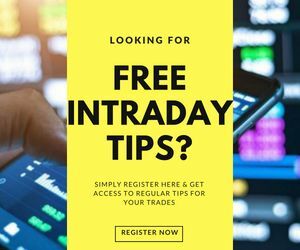 This helps you understand the intricacies and techniques of trading and investment at different levels. Furthermore, the portal is free to use and does not even require user login to access. The number of communication channels in case of this discount broker is certainly limited and the quality of service in terms of turnaround time can also be improved. At the same time, it is a discount broker and customer service is not really a top USPs of these kinds of brokers. However, the discount broker does better than an average job as compared to most of the discount stock brokers in India. Not only support, the broker tries to educate its users through trading and investment tutorials and blogs on its website. There is an account opening charge of ₹250 if you are looking for both trading and demat account. For transacting in commodities, there is no account opening charge involved. There is also a yearly maintenance charge of ₹400 for individuals and INR 1000 for non-individual entities. Although it might seem a little expensive, with the kind of service the broker provides, it can be termed as a value-for-money service provider. Simply, leave your details in the form below and the executive of 5Paisa will call you back! Check this 5Paisa Brokerage Calculator to calculate your profits. Like in case of discount brokers, 5Paisa charges a flat rate of INR 10 implying irrespective of your trade capital, be it INR 10,000, 1 Lakh or Crore, the brokerage will always be INR 10 per executed order. In fact, 5Paisa is half the price of the likes of Zerodha or Upstox when it comes to brokerage at Intraday levels. Although the broker offers decent exposure it is adviced that you should use leverage only if you understand the risks of using it. Yes, it is a lucrative concept but using it without knowing the implications, can put you in a risky situation. One of the easiest modes of funds transfer using which you can transfer funds from your linked bank account to your trading account. 5Paisa has an integrated payment gateway that allows you to transfer funds from 28 prominent banks of India. The minimum amount you can transfer through Net banking is ₹50. For quick transfer, you can use IMPS or Immediate Payment Service through online banking. Use this link to check quick information on 5Paisa Bank List. For people preferring mobile payment wallets, the discount broker has an integration of the payment wallet and you can try this mode as well in order to transfer your funds. No fixed brokerage monthly or yearly plans. One of the cheapest discount brokers in India at ₹10 brokerage per executed order. Offers a wide range of trading and investment products. Has gained a reasonable amount of brand equity and trust among its client base in quick time. Even though 5Paisa is a discount broker, it still provides quality research and tips to its clients through its research team. Investing in IPOs, mutual funds and insurance pretty simple. Decent customer service leveraging from India Infoline (IIFL), the parent stock broking company. “5Paisa certainly looks one of the promising discount stock brokers of the country. With low brokerage, decent trading platforms, provision of tips and recommendations – it certainly offers more than value for money service to its clients. 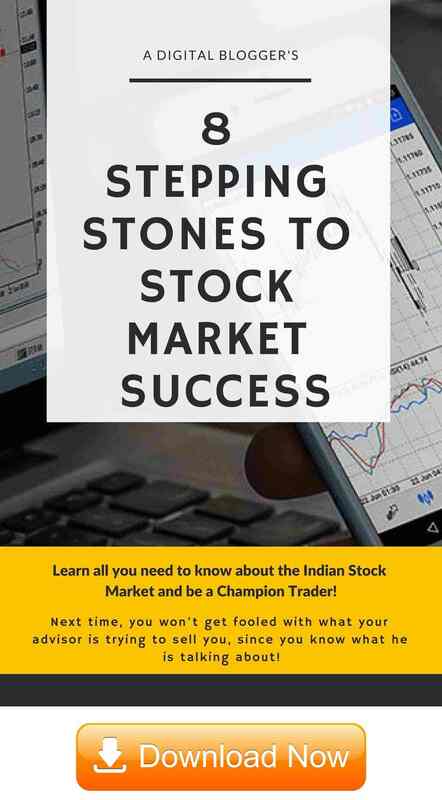 If you are a beginner or a small to medium level investor, this discount stock broker suits the requirements you might have at this stage or phase of your trading career. Enter Your details here to get a Free Call back! Post this call, there are 2 ways to get started. If you have an Aadhar card, then the account opening process can be completed in a few minutes. Is 5Paisa cheaper than Zerodha and Upstox? Yes, 5Paisa charges only ₹10 per executed order as brokerage charges while in case of Zerodha or Upstox, the brokerage can go as high as ₹20, double of what 5Paisa charges. Is 5Paisa a trustworthy Broker? Will my money be safe? 5Paisa is the discount trading arm of India Infoline (IIFL), a prominent full-service stockbroker of India which was established in the year 1995. Further IIFL has regularly injected capital into this discount stock broker ( the last one being ₹100 Crore). The discount broker is going to be listed as an individual entity on BSE and NSE this month in June 2017. What are the account opening and maintenance charges at 5Paisa? Account opening costs ₹250 and annual maintenance charges are ₹400 per year. If you can start with a capital of ₹50,000 or more, you can negotiate with the executive to levy off these charges for the first year. In which segments I can invest and trade using 5Paisa? With this discount stock broker, you can trade and invest in multiple segments including Equity, Currency, mutual funds and insurance. All these investments can be done through any of their trading platforms. Does 5Paisa provide Tips and Recommendations? Isnt it a discount stock broker? Yes Varun, even though 5Paisa is a discount stock broker, it still provides tips and research at no extra cost. If you have Aadhar eKYC, then you don’t need to go through the offline documentation, otherwise yes. is 5paisa.com has a branch in Hyderabad TS? If not how can I open account with 5paisa.com? Discount brokers do not have offline presence Nayakwadi. 5Paisa communicates through email, phone and social media. When are you starting commodities trading ? Its good, but I believe in real world situations, you never get benefit on regular basis without advisers, That’s why I follow only SEBI registered advisers.